Committed to excellence in undergraduate and graduate education. A Kansas State University graduate student has received a prestigious physics award for research she did as an undergraduate with the help of the J.R. Macdonald Laboratory. 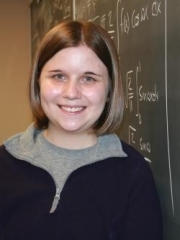 Bethany Jochim, doctoral student in physics from Pierre, SD, is a recipient of the 2011 LeRoy Apker Award, the top undergraduate honor awarded by the American Physical Society. The award recognizes outstanding achievements in physics. Two Apker awards are given annually. Each award consists of $5,000 to the recipient, a travel allowance to the American Physical Society meeting where the award will be presented, and $5,000 to the recipient's undergraduate institution. Eli Parke, DAMOP undergraduate presenter and 2006-07 Macdonald Scholar. The KSU Department of Physics and the JRM Lab are committed to excellence in undergraduate and graduate education. Among JRML's initiatives supporting education are the James R. Macdonald Scholarship and the Research Experience for Undergraduates. The lab typically supports about 15 graduate research assistants, and we are always seeking new graduate students interested in either theoretical or experimental AMO physics. Undergraduates are actively participating in our research. 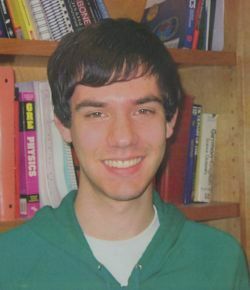 Work by Mat Leonard was selected for presentation at the Undergraduate Research Symposium of DAMOP 2005 in Lincoln, while research by Eli Parke was featured at DAMOP 2007 in Calgary. Both Eli and Mat are also recipients of the James R. Macdonald Scholarship. 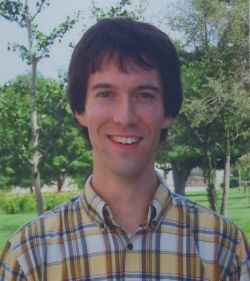 Mat Leonard, DAMOP undergraduate presenter and 2005-06 Macdonald Scholar. The Department of Physics and the J. R. Macdonald Lab at Kansas State University offers Research Experiences for Undergraduates funded by the National Science Foundation. The program runs from the end of May to the beginning of August. The sophomore and junior participants work directly with our various research groups and complete a major project over the course of the summer. 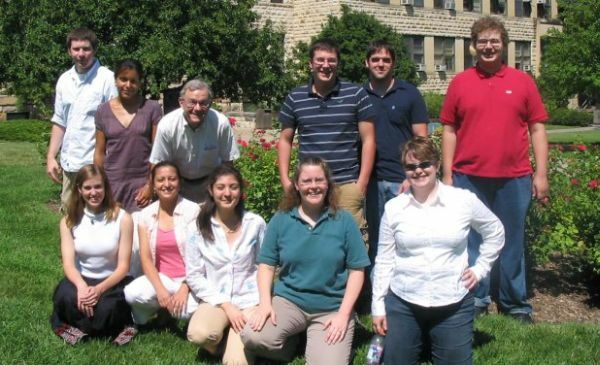 Pictured above is our year 2006 REU group with their principal advisors, Larry Weaver and Kristan Corwin. The final reports from recent REU classes are available on the KSU REU web site.